Highly qualified Super Lawyer & Experienced Cyclist Kenneth Knabe – Protecting Cyclists in Greater Cleveland through injury representation, sponsorships, education and Vision Zero safety legislation. 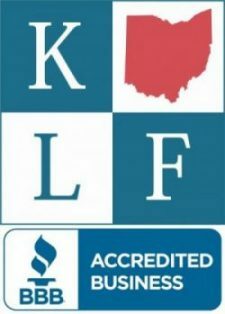 Knabe Law Firm Co., LPA: 14222 Madison Avenue, Lakewood, Ohio 44107. Phone: 216-228-7200. Cyclists are young, middle aged, and older; male and female; commuters, messengers, racers, and recreational riders. Cycling benefits alternate energy and provides social /fitness/anti-aging and psychological advantages. Bicycling is becoming very popular in both urban and rural settings throughout picturesque Ohio. As a result of this boom and the proliferation of bike lane access, a modern evolving confluence now exists between cars and bikes which creates friction, misunderstanding and crashes: about 50,000 per year around the country. Bicycle deaths are also on the rise, as you know if you simply follow the news. According to the national Governors Highway Safety Association, bicyclist deaths increased sixteen percent between 2010 and 2012, while motor vehicle fatalities increased just one percent during the same period. Humans are all territorial and instinctual by nature. Just ask David Ball and Don Keenan, authors of Reptile: The 2009 Manual of the Plaintiff’s Revolution. Drivers focus on their destination and loath obstructions and delays. Many drivers justify their self-interest by absurdly asserting that they “pay” for the road through licensing fees and therefore own the road. In reality, our roads were first built because of a bicycle boom in the early 1900s before cars became available. aggressive when confronted by an irate driver. Also, many cyclists are woefully uninsured and ignorant about bike coverage issues. How do you solve or at least address this modern day dilemma? Both the driver and the cyclist need legal education and to understand and follow the law. Ohio law requires cyclists and drivers to share the road within its legal parameters. Regardless of what territorial side of the road you are on, cyclists are legally and rightfully on our roads and drivers must pay more attention to them and avoid needless serious, and even catastrophic injuries and resulting liability. Cyclists also need to protect themselves by following the law, purchasing adequate insurance and staying visible. The Reptile teaches us that humans tend to favor the injured party if they perceive a direct or indirect threat to their own safety. As Friedman and Malone aptly state in their “rules of the road” book, safety rule violations threaten the general public. Traffic law violations are an obvious rules transgression which affects the safety of all who use the roads. The errant motorist could have just as easily hit them or another car or a pedestrian. In Ohio, a bicycle is defined as a “vehicle,” which can be lawfully ridden on all Ohio roads except freeways or limited access roadways. Ohio Rev. Code §4501.01(A) (2016), §4511.01(A) (2016) & §4511.051(2) (2004). For establishing liability, consider a bike crash the same as a car crash between two vehicles. If a cyclist is hit from behind, standard assured clear distance statutes apply. Ohio Rev. Code §4511.21 (2013) and §4511.202 (2007). If a cyclist is hit by an illegal left turn, use the standard turning statutes and right of way analysis that you would in a car crash case. Ohio Rev. Code §4511.42 (2004), §4511.36 (2004), §4511.38 (2004) and/or §4511.39(2006). Ohio’s three-foot minimum safe distance passing requirement, ORC §4511.27 and the “dead red” exception, ORC §4511.132 became effective March 21, 2017. Many drivers think they cannot pass a cyclist over the double yellow line. A driver can pass ANY slower vehicle, but only if the slower vehicle is traveling at less than the posted speed limit; the faster vehicle is capable of passing the cyclist without exceeding the posted speed limit and there is sufficient sight distance ahead to permit the passing maneuver to be safely accomplished, taking into account the speed of the cyclist. Ohio Rev. Code §4511.31 (2006). Finally, Ohio law prohibits texting or emailing while driving, subject to some exceptions. A minor with a temporary or probationary driver’s license is prohibited from using a cell phone while driving subject to some exceptions. Ohio Rev. Code §4511.204 (2015) and §4511.205 (2013). Even if liability is admitted, keep searching for evidence of texting or cell phone use and pursue a claim for punitive damages for the reckless and wanton conduct that caused the bike crash. A distracted driver is more dangerous than an impaired driver. As stated, a bicycle is a vehicle under the Revised Code and cyclists can lawfully ride on most roads, except freeways or limited access roadways. Ohio law provides that a cyclist can ride on a sidewalk but cannot be confined to riding only on the sidewalk. Ohio Rev. Code §4511.711(A) (2016). Ohio provides that its state traffic laws do not prevent local authorities from the reasonable regulating of the operation of bicycles unless the regulation is fundamentally inconsistent with the state traffic laws. Ohio Rev. Code §4511.07(A)(8) (2006). Under this provision, many local ordinances prohibit riding on the sidewalk in a business district. Since bicycles are considered vehicles, bicycles are lawfully allowed on almost all roads, and bicyclists cannot be confined to riding on the sidewalk. Many local ordinances prohibit riding on the sidewalk and many sidewalks contain hazards not found on the road. Any defense that an injured cyclist should have been riding on the sidewalk should be legally and practically rejected. As a “vehicle,” a cyclist must obey all traffic rules applicable to vehicles. Ohio Rev. Code §4501.01(A) (2016) and 4511.01(A) (2016). FYI: cyclists that follow traffic laws are in 75-80% fewer accidents! Also, cyclists following the traffic laws will have the right of way just like any other car or truck. A cyclist must stop at red lights and stop signs. Ohio Rev. Code §4511.43 (2004); yield to pedestrians on a sidewalk. Ohio Rev. Code §4511.441 (2004); use a specified front white activated light, rear red deflector and activated light, from sunset until sunrise. Ohio Rev.Code §4511.56 (2006); and ride in the direction of road traffic. Ohio Rev. Code §4511.25(A) and (C) (2006). A cyclist must ride as near to the right side of the roadway as practicable and exercise due care when passing. However, a cyclist is not required to ride at the right edge of the roadway when it is unreasonable or unsafe because of surface objects, hazards or if the lane is so narrow that a car cannot safely pass the cyclist. Ohio Rev. Code §4511.55(A) and (C) (2006). Predictability is another component for keeping a cyclist safe. A cyclist should avoid weaving or sudden movements and should announce their intentions regarding movement with these mandated hand signals. Ohio Rev. Code §4511.40 (2004). No points can be assessed to a cyclist who violates traffic laws unless the cyclist is riding under the influence. Ohio Rev. Code §4511.52 (2006). Often times, a police officer may inadvertently issue a traffic citation to a cyclist and fail to delineate it as a no point violation. Be aware of this little-known law and be careful on advising waivers of traffic tickets issued to cyclists. Ohio law does not mandate the wearing of a helmet, but some cities require helmets, especially for minors. Though it is generally legal for an adult to operate a bicycle without wearing a helmet, two-thirds or more of fatally injured bicyclists were not wearing helmets! Although no legal requirement exists in Ohio, some suggestions for cyclists are to stay as visible as possible for their own benefit; this concept is called “conspicuity”, a term you will come to know if you represent cyclists. Reflective, contrasting clothing and lights on day and night are helpful suggestions for cyclists that need to be seen and not hit. A cyclist should make eye contact with the driver to make sure the driver actually sees them. Ohio law allows cyclists to ride two abreast. Ohio Rev. Code §4511.55(B) (2006), but many local ordinances prohibit it. Query, are these laws fundamentally inconsistent with state law? Probably! A great resource for bike laws and the dichotomies between local and state ordinances is contained in http://bikelaws.org/neo-bikelaws.htm. Another very good resource is The OHIO DEPARTMENT OF TRANSPORTATION’ S CYCLING SMARTER GUIDE. A true cyclist Attorney should know and understand cycling and the jargon including: clothing i.e. a “kit” is a bib and jersey; cycling computers i.e. Cyclometer, Garmin, Wahoo etc. ; ride data storing i.e. Strava, Garmin and mapmyride which can record all data captured by GPS including speed, location and time of day; the type of bikes i.e. road, cross, mountain, hybrid, single gear, vintage or basic; and the riding style: group rides: single or double pace line. Pedals: clip-less or clip-ins i.e., spd, Shimano, Look- Keo or Speedplay. Was your client looking down while clipping in when hit? Did your cyclist utilize a gopro camera on the front or back of the bike which caught the crash on digital? The days of attorneys asking if the cyclist was riding a “3 speed” or “10 speed” are gone. By the way, the newer bicycles are mostly 11 speed! Property damage is a key component in any bike crash. The damaged bike frame, components, ripped handlebar tape, expensive computer, ripped seat, torn clothes, scuffed bike shoes, and cracked, bloodied or broken helmet are critically important pieces of evidence. A good relationship with a reputable bike shop will help establish a reasonable and fair dollar value for the frame, wheels, rims and numerous other components and gear. Liability carriers will usually quickly pay a bike property damage claim if your estimates are accurate and backed up by photos. To make an uninsured motorist claim in Ohio, you need independent corroborative evidence. Besides an eye witness, the bike frame damage may constitute that evidence. Look for paint stains from the hit and run vehicle. Cyclists never win in a crash with a several-thousand-pound vehicle. Most bike accidents are not the result of rampant road rage or the frequent territorial bickering between drivers and cyclists. Most crashes occur simply because the driver does not see the cyclist! Many cyclists are hit from behind or in an intersection by a car failing to stop at a stop sign or turning right or left, or right hooking the cyclists by turning right without properly gauging the cyclist’s speed. These accidents are usually due to inattention, poor eyesight, ignorance, or distraction from texting, emailing or cell phone usage. We all see drivers texting, looking down or holding their cell phones in their ears while driving. A cyclist riding on the same road as these drivers is especially vulnerable to distracted driving because the consequences could be deadly. By now, we have all heard of someone getting hit or killed by a car. Broken bones and serious long-lasting injuries can and do occur, despite helmet advancements including MIPS. MIPS stands for Multi-Directional Impact Protection System, which is a technology inside the helmet designed to reduce rotational forces that can result from certain impacts. Concussions occur frequently and many injured cyclists suffer long-lasting, debilitating symptoms. Familiarize yourself with the symptoms of a concussion and concussion syndrome, which many injured cyclist develop after a head impact, even when wearing a helmet. Even after settling the property damage, an Attorney should photograph and preserve the damaged parts to corroborate the physical injuries. The cracked helmet will corroborate your client’s concussion or traumatic brain injury. The ripped cycle shoe will corroborate your client’s ankle injury. The ripped clothing will corroborate your client’s fractured ribs, broken bones, cuts and scrapes. Check your bicycle computer data for the actual speed and location of your injured cyclist. Determine whether your cyclist was using a gopro-type camera on the front or back of the bike to record traffic and collisions. Once liability and property damages are established, a true cycling Attorney should then focus on damages. In a typical liability claim covered by the at fault motorist’s liability carrier, the coverage applies like any other auto liability claim. Remember to also make a medical payments claim for medical expense from the cyclist’s personal auto medical payments coverage. Also, an uninsured/underinsured motorist coverage (‘U’ Coverage) claim should be made under the cyclist’s auto insurance policy. This covers the liability claim of a cyclist hit by a careless driver with no or inadequate insurance, and can provide coverage if your client is hit by a negligent hit and run driver if corroborative evidence exists. Remember U coverage offering is no longer mandatory in Ohio. Many injured cyclists fail to have U coverage, with devastating results. For bike damage, if no other coverage presently exists due to a liability denial or lack of UM property damage coverage for a U claim, seek payment under the cyclist’s homeowner’s coverage. Some cyclists who don’t own a car or have U coverage may elect to have a separate bike insurance policy. U coverage under a separate bicycle policy is called “physical contact” insurance. However, this coverage is typically very low, usually equivalent to State minimum coverage. Motorist’s education, acceptance, awareness and understanding concerning cyclist’s rights and their extreme vulnerability on the road will diminish the amount of accidents. Cyclists must also know their rights but also their responsibilities which will also decrease friction and accidents when cyclists practice “vehicular cycling” which means operating and following the traffic rules applicable to cars. “Share the Road” cannot be verbiage but should have teeth, meaning and legal consequences for motorist’s living in the dark ages who fail to heed this adage. Save a life; watch for bikes!